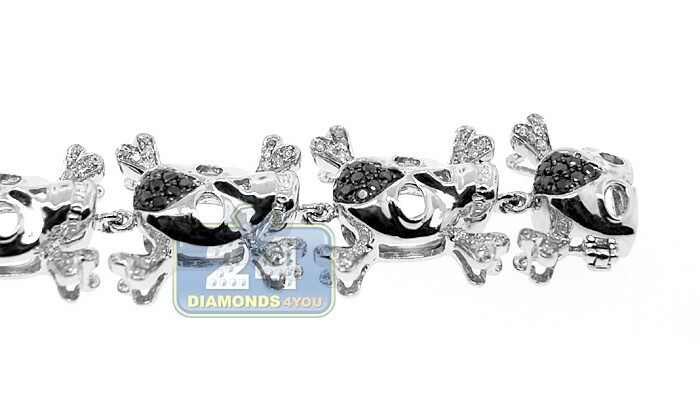 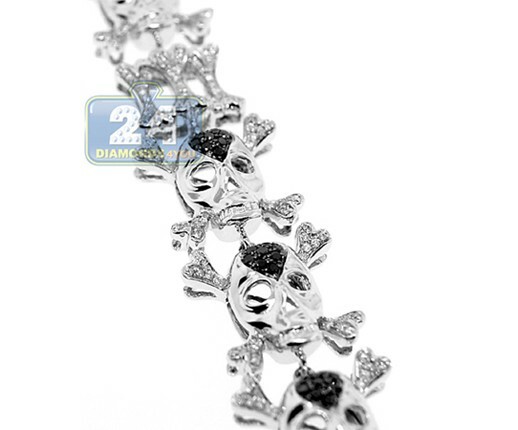 Unique and incomparable, this skull diamond bracelet is artfully crafted in gleaming 14 karat white gold with highly polished smooth finish. 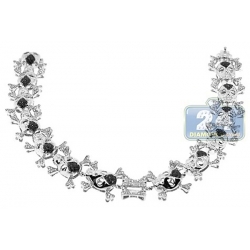 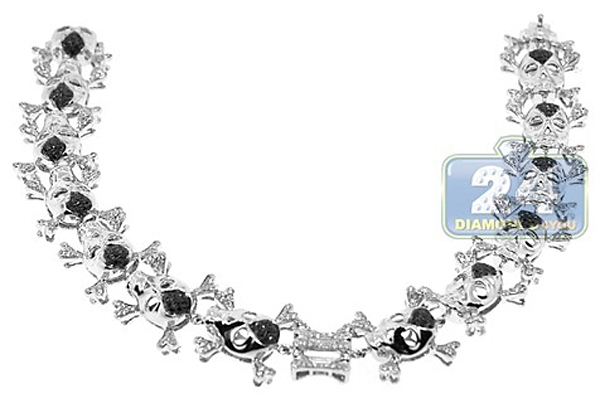 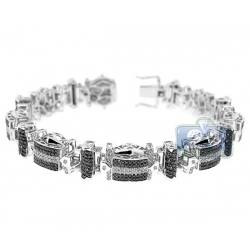 The links are paved with 2.20 carats of icy white and black round-shaped genuine diamonds. 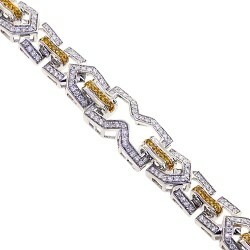 The piece measures 9 inches in length, 16 mm in width, and closed by comfortable box clasp. 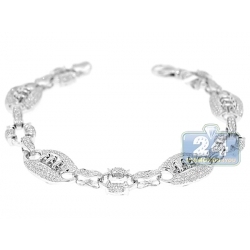 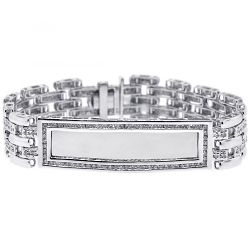 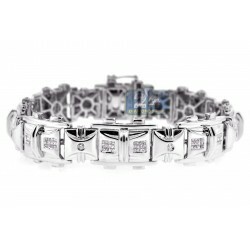 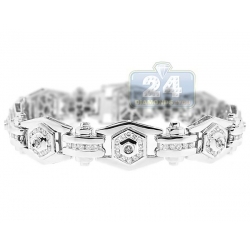 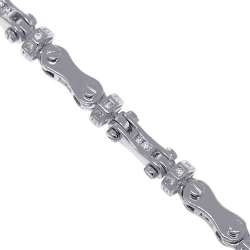 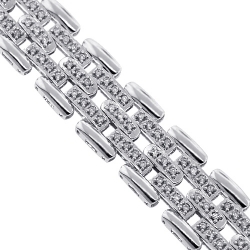 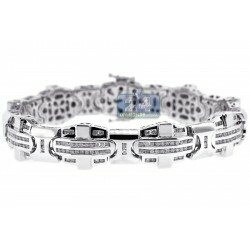 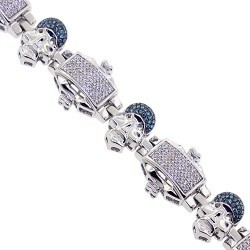 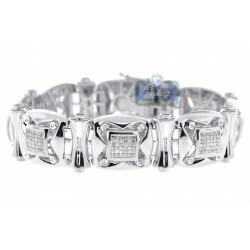 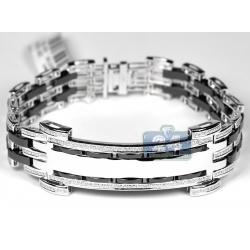 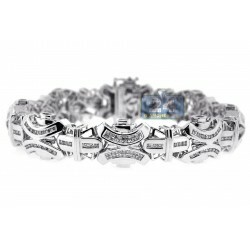 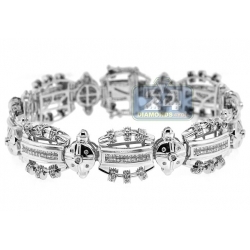 Get this men's diamond bracelet for your delight!